I went out for another route inspection today. I’d already spotted a few issues on a previous ride, and wanted to check the rest of the route again too. I only found a few places in need to attention. 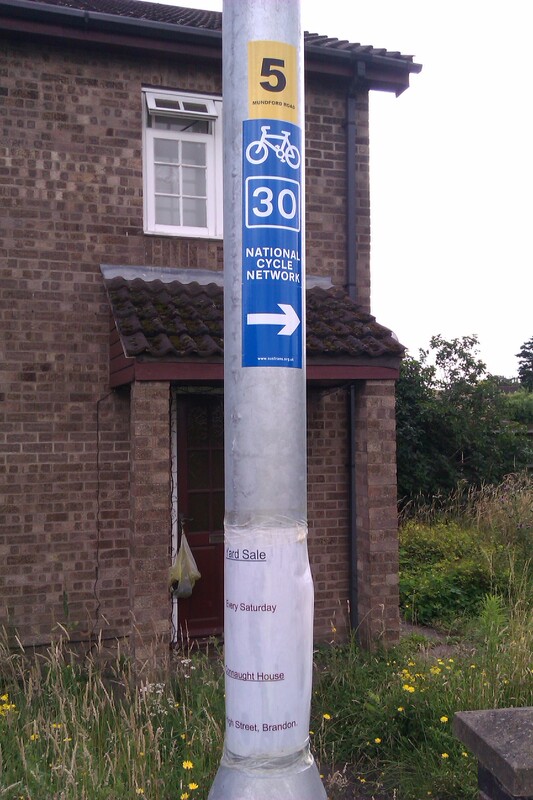 First in Santon Downham, the sign on the telegraph pole as you enter the village from the north-east had been removed and needed replacing. 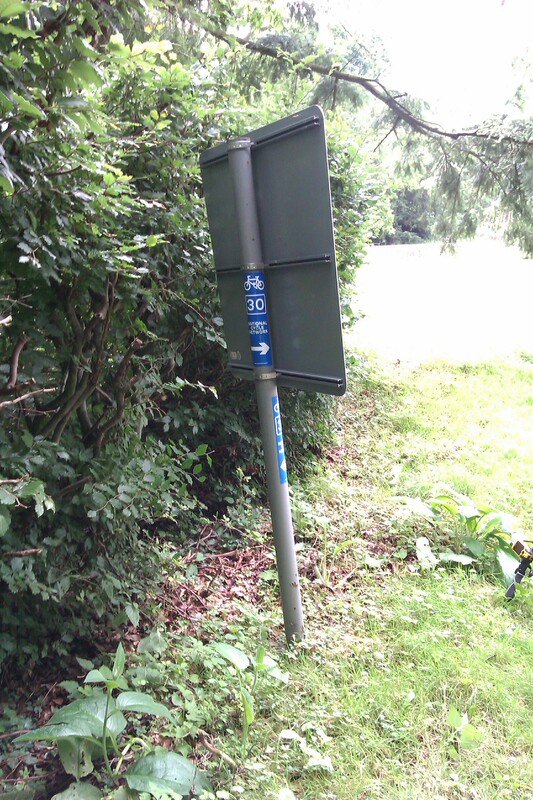 I also did a bit of pruning of the hedge around the sign before the right turn on to the C622. 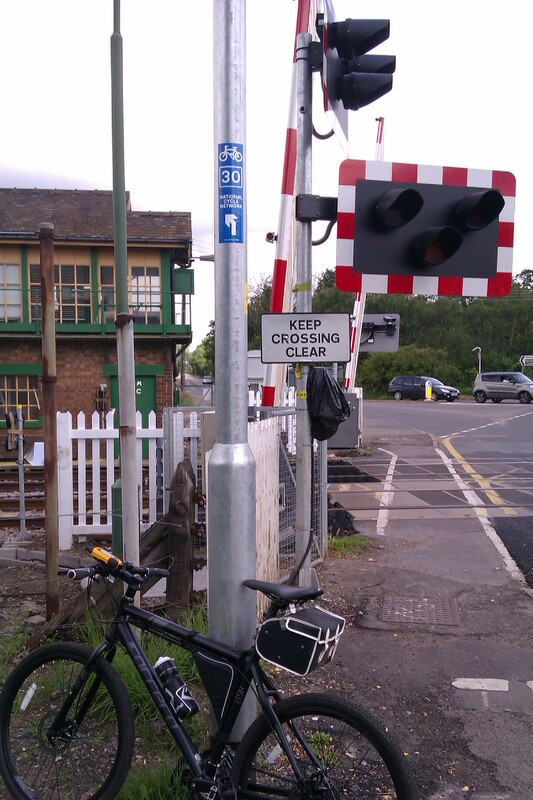 Secondly, two of the lamp-posts that I had attached signs to near the Brandon level crossing had been replaced by the council, so I needed to put signs up on the new posts. 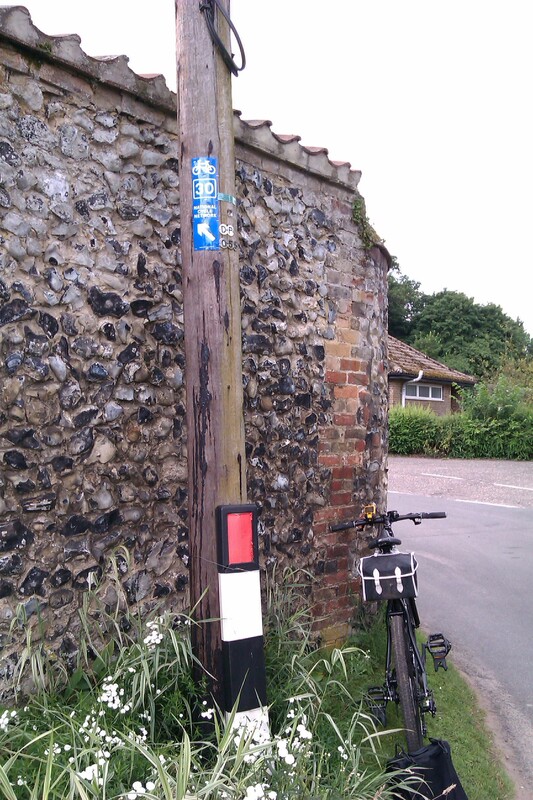 I also added an additional sign to help riders approaching from the north along the cycle path. 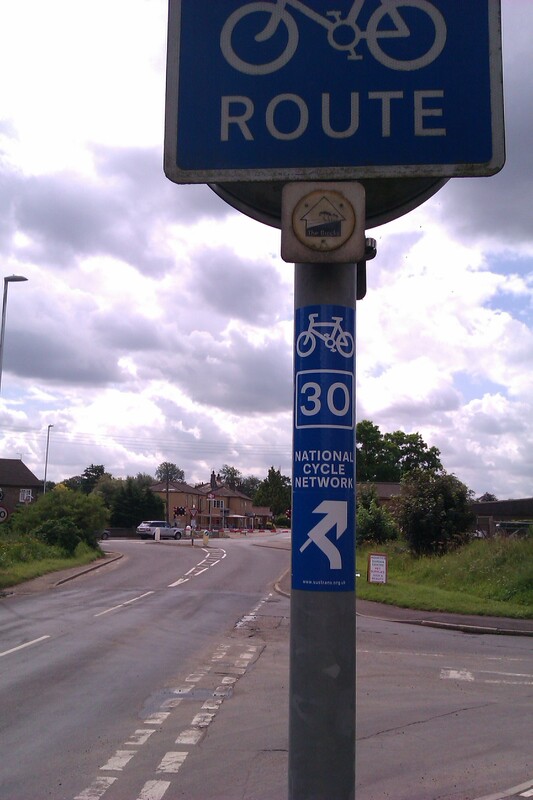 Because of the unusual road layout at the junction, I created some custom arrows for use here, to give riders a better indication of where the route goes.